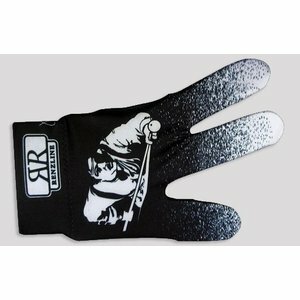 Here you will find all kinds of billiard gloves. Actually there are 2 different billiard gloves. 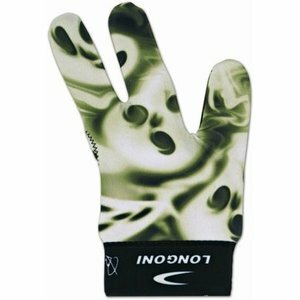 There is a billiard glove with closed fingers. And a billiards glove without fingertips. 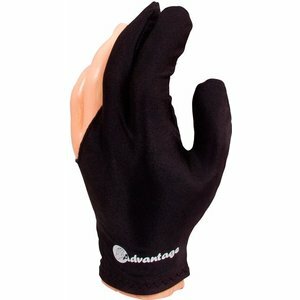 Do you really suffer from sweaty hands, use the glove with dense fingertips. This prevents moisture from entering the billiard table. 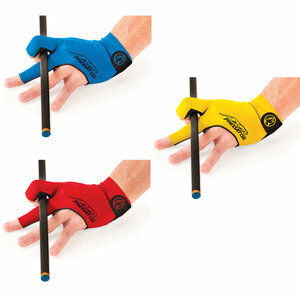 If you want more grip on the billiard table, we advise the billiards glove without fingertips. This gives you more feeling on the billiard table. The advantage of a billiard glove is that the cue continues to glide easily and is not trump by hand. 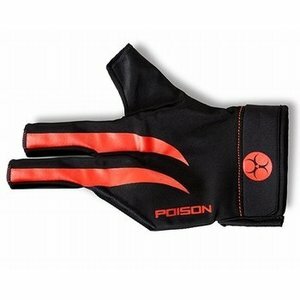 Pay attention when purchasing a billiard glove for which hand you buy it. 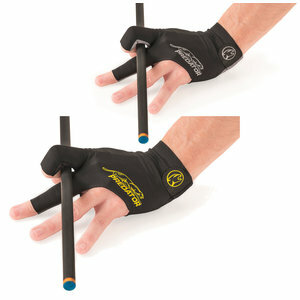 So right-handed people need a left billiard glove. 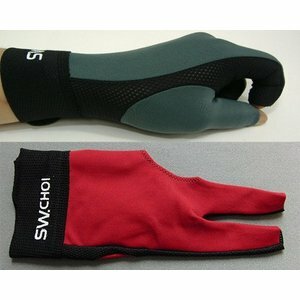 There are different prices in billiard gloves. This has to do with material, stitching and the reinforcement of mouse of the hand. NOTE : Use of billiard gloves. Because the glove is tight over the hand. And the billiard glove becomes damp during play. "Gabriels" has closed fingers. 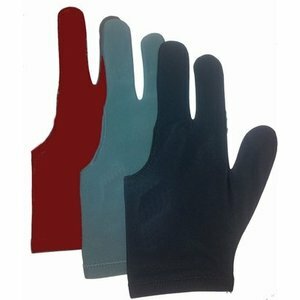 Available for both left and right hand in various colors. billiards glove different than average. 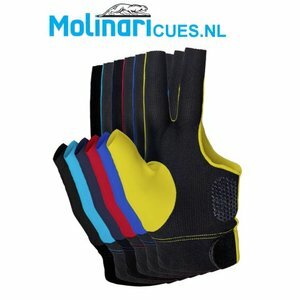 Most Longoni billiard gloves are available for left right hand. 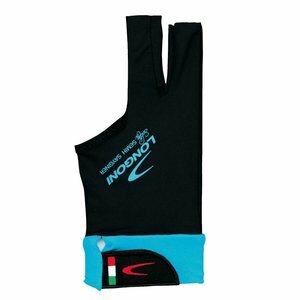 "Molinari glove" has open fingers. 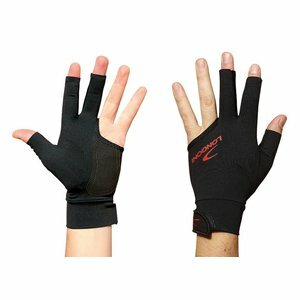 Has a Velcro closure. Available for left and right hand. 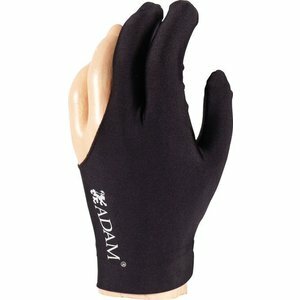 Has on the mouse of hand silicone pat for optimal contact on the billiard table. "Mc Dermott" open fingers and mouse suede pat. 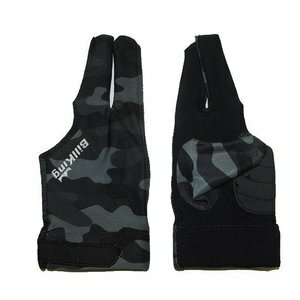 "Predator second skin" open fingers. with silicone pat.